30 Hours Funding available for eligible families. Please contact us for further information. Berkeley Gardens Day Nursery is part of a chain of nurseries in and around the Reading and Newbury area. The Forbury Group consists of 5 exceptional nurseries the most recent addition being Waingels Gardens Day Nursery. Berkeley Gardens opened in July 2011, is privately run and offers high quality professional childcare for families in Reading and the surrounding areas. We care for children from 3 months to 5 years and we are open from 8am-6pm Monday-Friday. Full time and part time places are available. The building itself is accessible to all as a large Victorian mansion with a huge grassed garden and an all weather use playground for younger children. 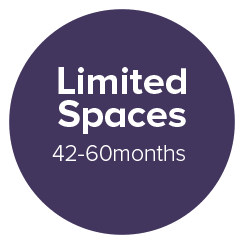 We currently have 5 rooms used for childcare, including a large annex where children in their preschool year can attend (our Dragonflies room), which is located directly next to the main building.  In our May 2016 OFSTED report we had some fantastic feedback: “The Personal development, behaviour and welfare is OUTSTANDING!”; “Staff plan stimulating experiences for children”; “Children enjoy excellent attachments with their key person”; “Children learn good early reading and writing skills”; “Children learn to count and enjoy practising these skills”; “enthusiastic staff help children engage in activities”. If you would like to see the full inspection report please click here. Berkeley Gardens Day Nursery is the second Nursery to follow from Forbury Gardens. It opened in July 2011, and is located in Reading. We received a 5 star rating from Reading Borough Council for food safety and a silver award from Chiltern Training Ltd for continuous support for our staff training towards their Diplomas in Professional Childcare. We provide a safe, secure, welcoming and happy environment for children. Please take a look at our aims and objectives, staying safe, being healthy, enjoying and achieving. The children have the opportunity to engage in lots of activities throughout the day. This will ensure that the children’s interests and learning are extended and developed. We observe daily and assess every child’s needs and development. This is recorded in their personal progress portfolio and shared with the parents. It is important for children of this age to receive continuity of care between nursery and home therefore the nursery staff will ensure your child’s familiar routine is maintained. The health and safety of all the children are of fundamental importance. We aim to provide a secure and pleasant environment for everyone. We practice a whole range of safety policies and procedures. Your child is allocated a ‘Key Person’ within their room, who is responsible for your child’s well being, ensuring your child feels individual, secure and cherished while they are away from home. Our staff are committed to providing the highest standards of professional childcare and education. Before beginning employment, all staff are thoroughly vetted in accordance with OFSTED requirements. Our staff are dedicated to giving your child the individual attention to develop their social, emotional and intellectual development. We have an extensive number of policies in place, all of which can be seen in the Nursery Entrance Hall. We are regularly inspected by Environmental Health and OFSTED. We endeavor to ensure that all staff practices remain in line with the current best practice. We welcome visits to the Nursery for Parents and Children to view what we can offer and meet our dedicated team. We provide an open and friendly environment where we encourage learning and development from an early age. and Waingels Gardens Day Nursery. Please send us a message using the form below and we will come back to you as soon as possible or if you would like to speak to a member of staff please telephone 0118 9500 116.